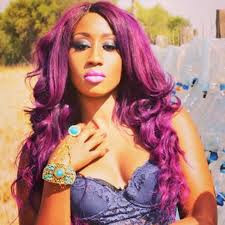 Celebrated Nigerian-Kenyan music sensation Victoria Kimani is undoubtedly one of the hottest and s3xiet female singers in Africa. 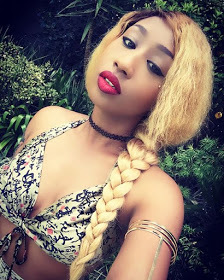 She is sometimes referred to as Africa’s Nicki Minaj. Her sense of fashion is always on point. She sometimes likes flaunting her irresistible and juicy assets and she once claimed that it’s her body and she can show anyone whatever she pleases. 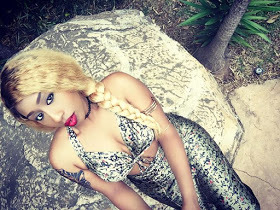 The Toto hit maker was recently in South Africa for her music tour and she without a doubt left many tongues wagging. She was clad in a scanty bikini that left less to imagination. 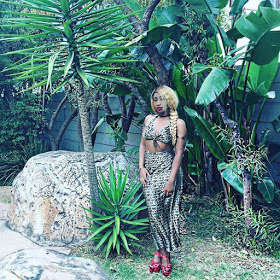 Below are photos of Victoria Kimani in South Africa.